This simply elegant stool combines the rustic charm of natural wood with a modern design! 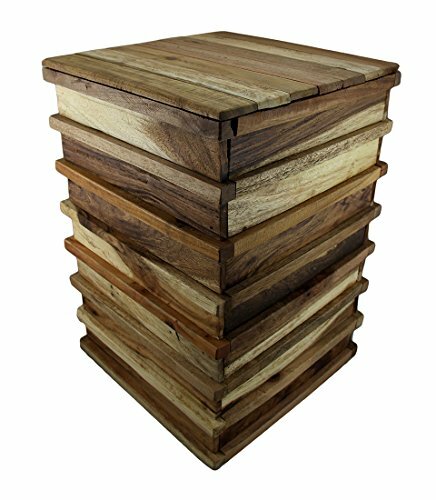 This 19.5 inch high, 13.25 inch long, 13.25 inch wide (50x34x34 cm) stool is crafted from recycled Acacia wood; giving it new life and purpose as decorative seating, or for use as a plant stand to make your greenery or blooms really stand out! It's a great addition as a nightstand or side table, and makes a great gift sure to be enjoyed!